ADT VS Bay Alarm – Which Is The Right Choice For Your Home Security? ADT® Monitored Alarm VS Bay Alarm – Which Is The Right Choice For Your Home Security? Everyone has heard of ADT monitored home security before, but not everyone has heard of Bay home security. Bay Alarm is a very popular security company for the state of California and they take pride in the fact that they have been family owned and operated for the past three generations, which means a period of 60 years. This article is going to tell you the truth about both companies, ADT Monitored Security VS Bay Alarm. 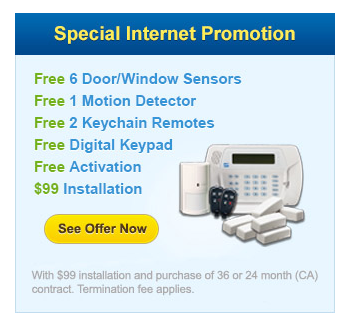 They don’t have the nationwide reach that ADT monitoring does, but in California, they are well known. They have a great referral bonus program and they also offer many packages for special promotions, which can include up to one month of free monitoring services for certain packages. Now, here is some important information about Bay Alarm that you need to know. One: This security company has been providing security for residential and commercial properties since 1946. Two: Right now, they only offer their home security services to the residents of California. Three: They are still family owned and operated today. Four: There is custom designing available if you need a commercial system that can feature area arming, detectors for glass breaking, interior motion detection sensors, remote phone control and it even has a silent alarm that you can use when needed. Five: They will even go so far with your home security as to provide security window screens. Six: You will get 24 hours a day, 7 days a week monitoring for residential and commercial security systems with a support staff that is available at any time for customer service. 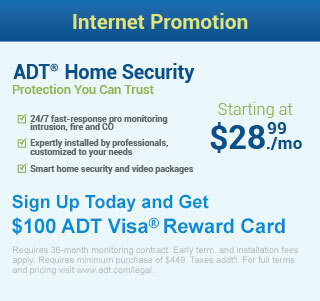 Now, here is some important information about ADT monitoring services that you need to know. One: They are the #1 leading security company for residential and commercial security systems nationwide. Two: You can get wireless security systems for your business or your home, which means that there will not be any wires to be cut for burglars to have an easy entrance into your home. Three: When you contact Prote4ct Your Home, ADT Authorized Premier Provider, they will offer you a free, no-obligation security review for your business, whether it is large or small, for your home or even for government agencies. Four: They have the leading edge technology so you know everything is up to date and they offer special features such as Medical Alert systems. Five: It is affordable for everyone, no matter where you live. These are definitely not all of the important things you need to know about Bay Alarm and ADT monitored security, but they are some of the most important. It is important that you take the time to look at each company before deciding on the best one to use for your home security. Take the time to do your own search for ADT Monitored Security VS Bay Alarm. This will help you make a more informed decision and ensure that you are protecting your family to the best of your ability. Compare ADT Monitoring basic package to Bay Alarm basic package.